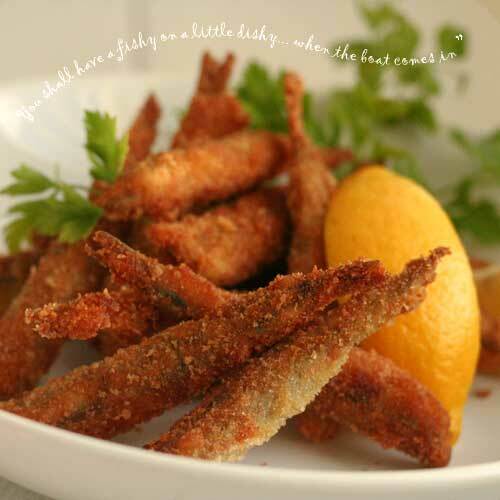 Alchemy in the Kitchen: Boquerones Fritos – a taste of happily ever after ! Boquerones Fritos – a taste of happily ever after ! Every time I taste boquerones fritos it takes me back to a magical week spent with some writer friends in a remote Spanish village near Grenada about ten years ago. It was the sort of place where you could expect to be woken at dawn by the sound of cowbells and donkey carts rattling through streets too steep and narrow for cars. Here I was first introduced to the notion of tapas: you order a drink and a little plate of something wonderful arrives with it. How civilised! 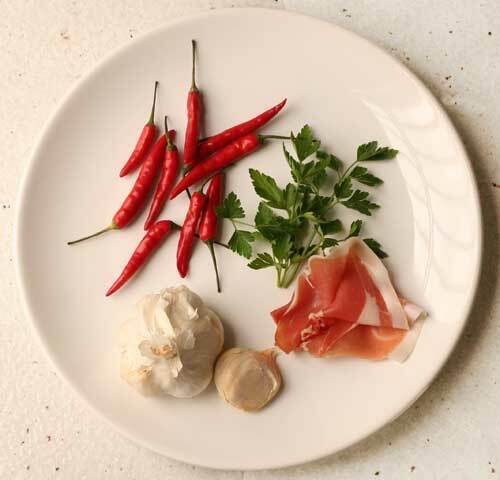 In one cervecería, the patrón produced plates of fat green olives, black morcilla, rosy petals of jamón, and lots more, placing them on the zinc counter with generosity and regularity, there for everyone to share. There was nearly an international incident however, when one of the girls mistakenly thought one of the locals was hogging a plate of fried anchovies. The aroma was sensational. I guess she couldn’t help herself. They were just too tempting. She reached over his shoulder (gasp!) and helped herself to a handful of golden fish... which just happened to be the man’s lunch. To this day, the incident is still a topic for discussion in the village. Once the unfortunate man had gotten over the shock and the fish thief had gotten over her mortification and apologised, they got chatting. She stole his fish; he stole her heart; it was a fair swap and they lived happily ever after. The End. Two or three boquerones fritos with a squeeze of lemon are the perfect accompaniment to a cold beer on a sunny evening. Any more than that, and for me, they begin to taste a little one dimensional. To keep the taste buds tantalised, make each mouthful a surprise. Here’s how. 1. Divide the anchovies into 3 equal portions. Fill the first portion with the garlic and parsley mixture, gently pressing the fish closed over the filling. Fill the second portion with ribbons of Serrano ham or prosciutto. Fill the third portion with the finely chopped chilli. Make sure to press each fish gently to close it over the filling. Cover and refrigerate for at least an hour to allow the flavours to penetrate the flesh. 2. When you are ready to cook the fish, set up a ‘dipping station’: place the flour in a shallow bowl and add a pinch of salt; place the beaten egg in another shallow bowl beside it; place the breadcrumbs in yet another bowl (yes, there’s lots of washing up but it’s worth it). 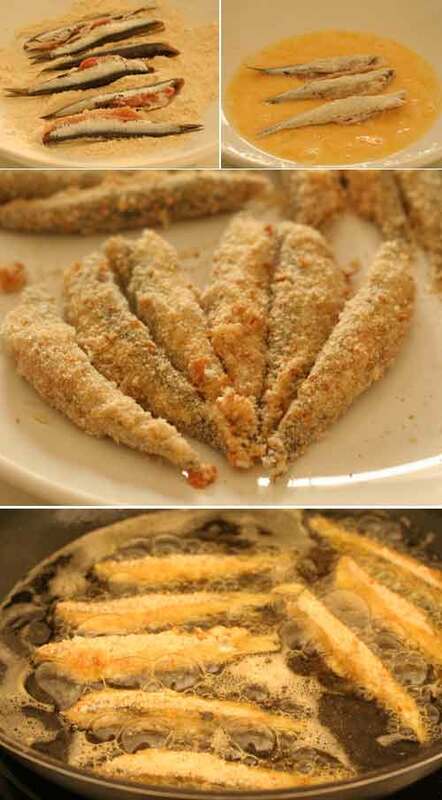 Dip the prepared anchovies into the flour, then into the egg, then finally into the breadcrumbs. (Tip: use one hand for this dipping process, as doubtless as soon as you are covered in eggy breadcrumbs, the phone/doorbell will ring.) 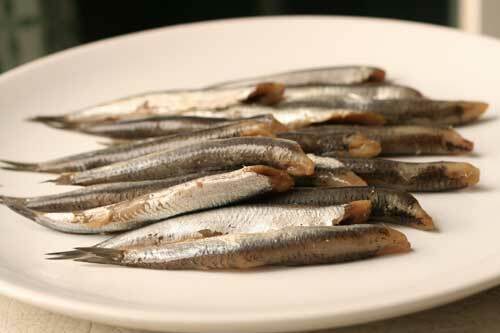 Place the dipped anchovies on a plate ready to be fried. 3. Pour olive oil into a large frying pan to a depth of ½ cm and place over a medium heat. When the oil is good and hot, but not smoking, add the anchovies. They should sizzle when they hit the oil. You want a crisp coating so don’t overcrowd the pan. As soon as one side is golden brown, turn them to cook the other side. This takes about 90 seconds in total. When they are golden, lift them out of the oil with a slotted spoon and serve immediately as these do not live happily ever after, but go from sublime to so-so in about one minute flat. Serve with wedges of lemon and, if you have some homemade mayonnaise, so much the better. The moment I saw the chili padi in the list of ingredients, I knew I have to try this recipe. What a lovely story! Such a fairy tale ending too! This looks great ... I wouldn't share! Ooh, Hester, you've just brought us a ray of hot sunshine with these. We adore anchovies and the one-minute eating rule is not a problem and it's certainly a happy-ever-after. Great post! What a sweet story! Ah, love always wins! I'll bet these are absolutely delightful. I must say that I rather enjoy anchovies. I use them in many ingredients to liven things up. I also love tapas--Italian bars have the same concept too, and I could just eat tiny bites of good food for hours. Anchovies are one of my favorite ingredients--this dish looks amazing! Oh, wow. I'm out to get me some anchovies.. easier said than done around here :( I just love the whole tapas concept, great multiple fillings idea. A.
I haven't ordered these in the longest time! Neither have I cooked them so am marking your recipe for the next to e I am at the fish market to buy sardines. Awww lovely post and gorgeous photos as always. The little fishes looks amazing, I think Im making a trip to the local fish shop tomorrow! Thanks for posting and glad to see you on facebook as well! Best wishes!